What is Kligman’s Face Cream? 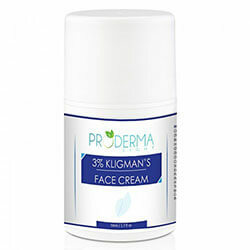 As mentioned on manufacturer’s website, Kligman’s Face Cream, sold for a price of $24.99 for 1.7 fl oz (50 ml) jar, is the best selling face lightening moisturizing cream of Proderma for the past 6 years. It is advertised as a post-acne marks and dark spots eraser in the fastest way possible. Kligman’s Face Cream– Does It Really Work? What Are The Ingredients In Kligman’s Face Cream? How To Apply Kligman’s Face Cream? Does Kligman’s Face Cream Have Any Side Effects? It is sold at the official manufacturer’s website and third-party retailer sites. This Kligman’s Face Cream review can provide you the essential details about this cream. Kligman’s Face Cream – Does It Really Work? Get rid of dark spots and discolorations within a few days. Protect skin from sun damage. Combat signs of aging and damaged skin. Reduce appearance of fine lines and wrinkles. Retin-A: Also known as retinoid/ vitamin A, this ingredient can help to prevent skin aging and can ward off the development of fine lines and wrinkles. In addition to that, it can also plump and firm the skin and make it look radiant. However it may causes redness or burning on skin. Apply a small amount of the Kligman’s Face Cream to your face and evenly distribute it to the skin using gentle massage. Use this after you have properly cleansed, dried and toned the skin. Let the cream penetrate into your skin for a few minutes before layering it with another skincare product or putting on makeup. Make sure to wear this cream with sunscreen as its ingredients are sensitive to the sun. It can lighten the skin but lead to skin redness. It causes skin redness or burning sensation on skin. Based on the list of its active ingredients, there’s a chance that using the cream may increase the sun sensitivity of your skin. In addition to that, the complete list of ingredients is also not provided which makes it difficult for many to determine if the product contains any ingredients they might be allergic to. This product offers 30 days money back guarantee.